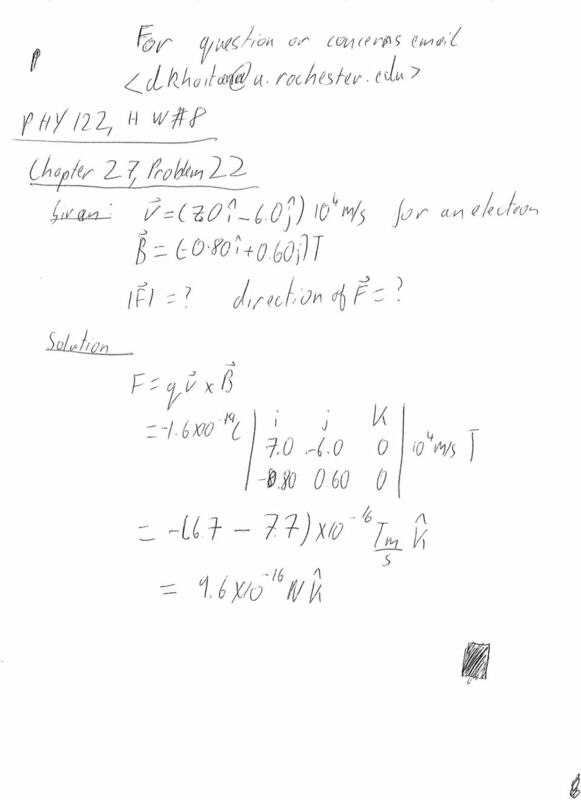 Download "Fall 12 PHY 122 Homework Solutions #8"
1 Fall 12 PHY 122 Homework Solutions #8 Chapter 27 Problem 22 An electron moves with velocity v= (7.0i - 6.0j)10 4 m/s in a magnetic field B= (-0.80i j)T. Determine the magnitude and direction of the force on the electron. 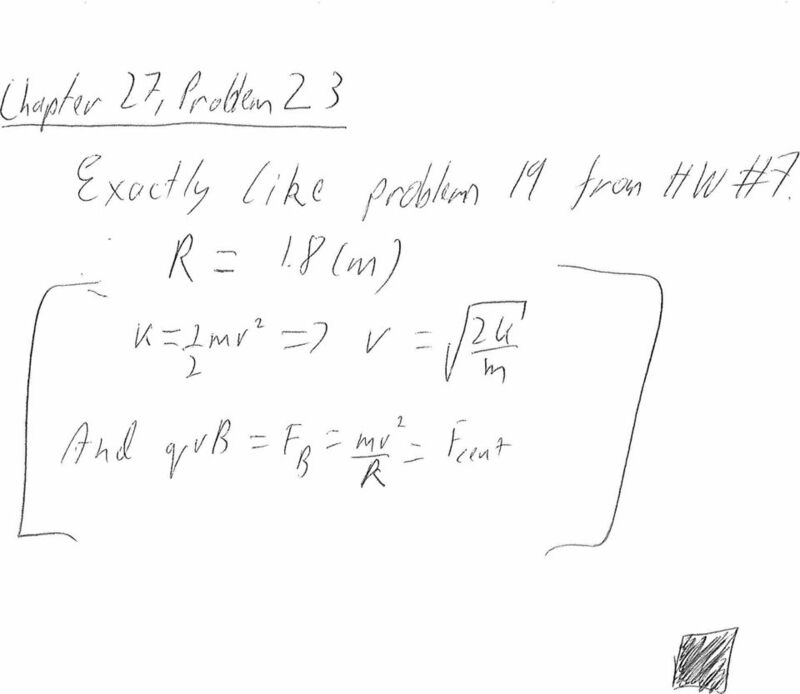 Chapter 27 Problem 23 A 6.0-MeV (kinetic energy) proton enters a 0.20-T field, in a plane perpendicular to the field. 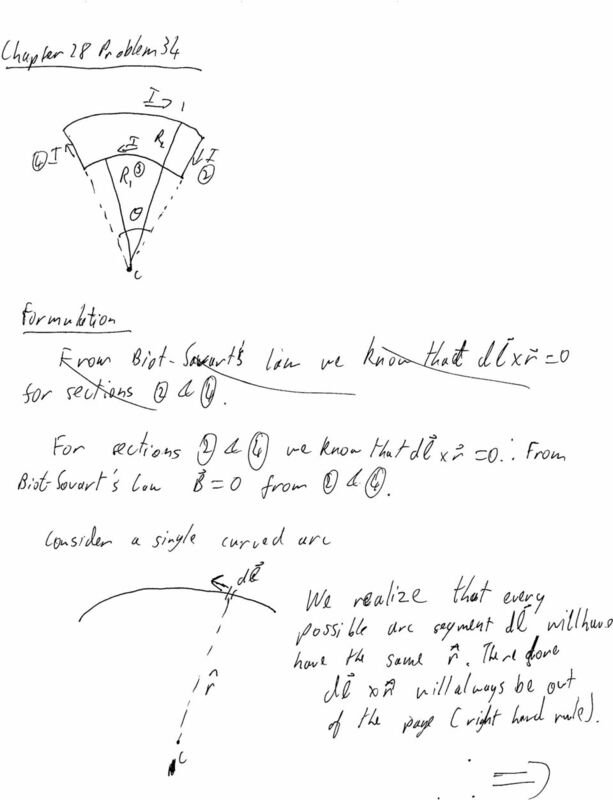 What is the radius of its path? 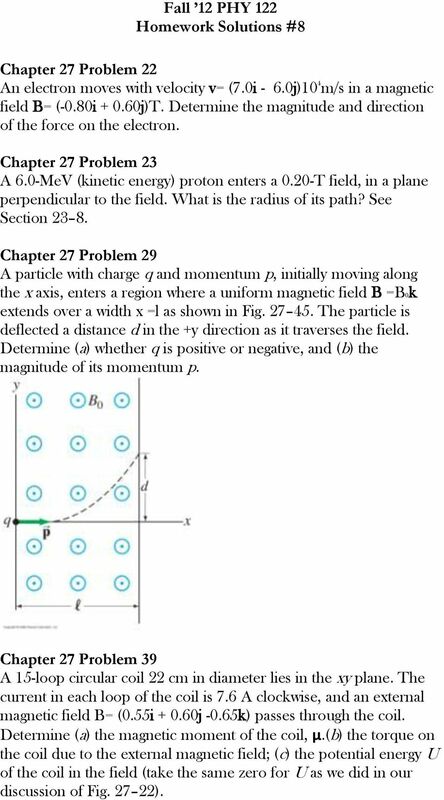 See Section Chapter 27 Problem 29 A particle with charge q and momentum p, initially moving along the x axis, enters a region where a uniform magnetic field B =B0k extends over a width x =l as shown in Fig The particle is deflected a distance d in the +y direction as it traverses the field. 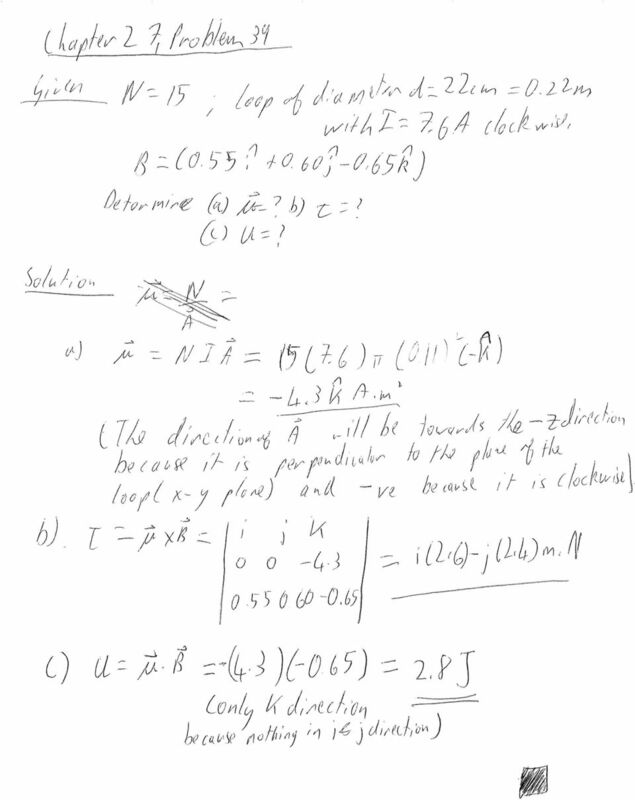 Determine (a) whether q is positive or negative, and (b) the magnitude of its momentum p. Chapter 27 Problem 39 A 15-loop circular coil 22 cm in diameter lies in the xy plane. The current in each loop of the coil is 7.6 A clockwise, and an external magnetic field B= (0.55i j -0.65k) passes through the coil. 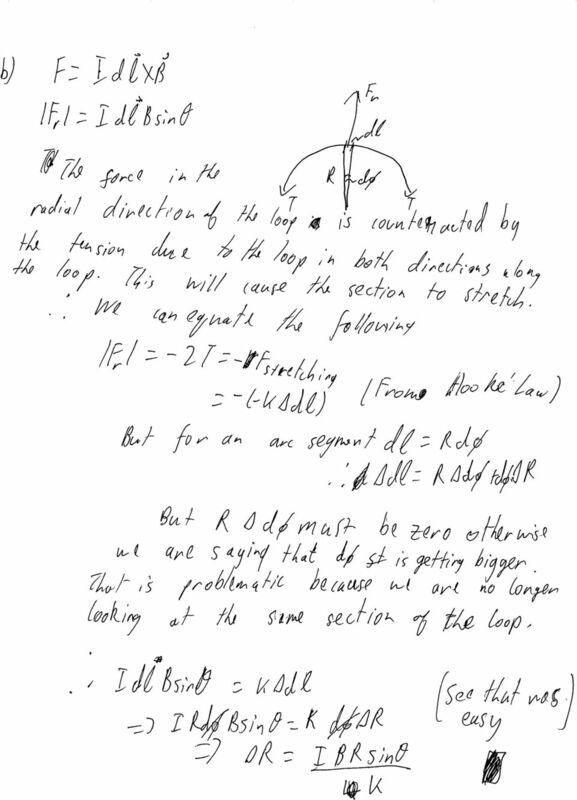 Determine (a) the magnetic moment of the coil, μ. 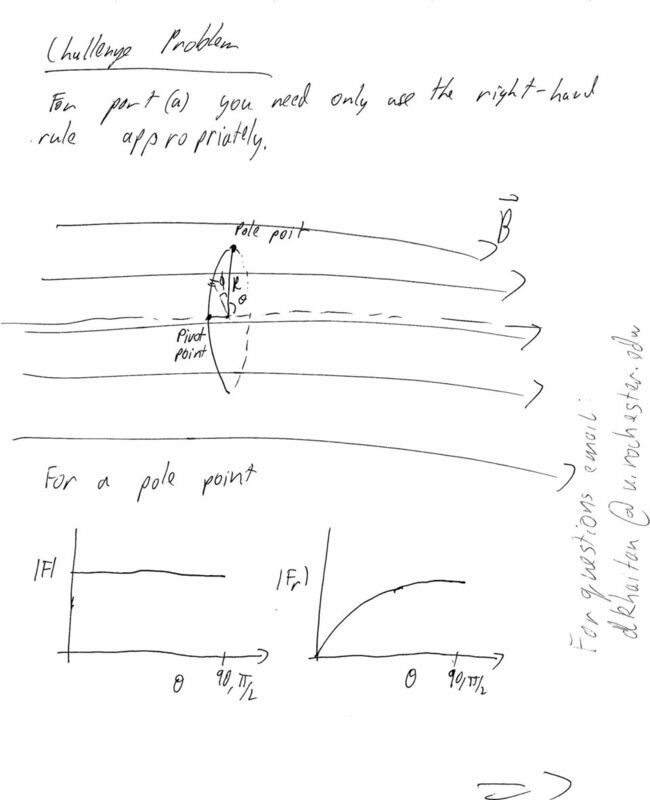 (b) the torque on the coil due to the external magnetic field; (c) the potential energy U of the coil in the field (take the same zero for U as we did in our discussion of Fig ). 3 space are closer to the lower segment of the loop (where the current goes into the page) than they are to the upper segment (where the current comes out of the page). 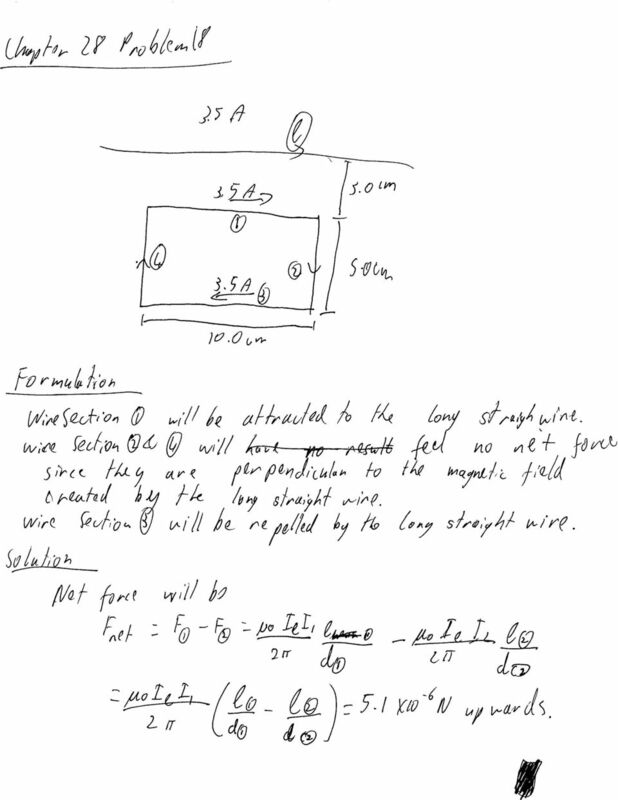 Chapter 28 Problem 3 Determine the magnitude and direction of the force between two parallel wires 25 m long and 4.0 cm apart, each carrying 35 A in the same direction. 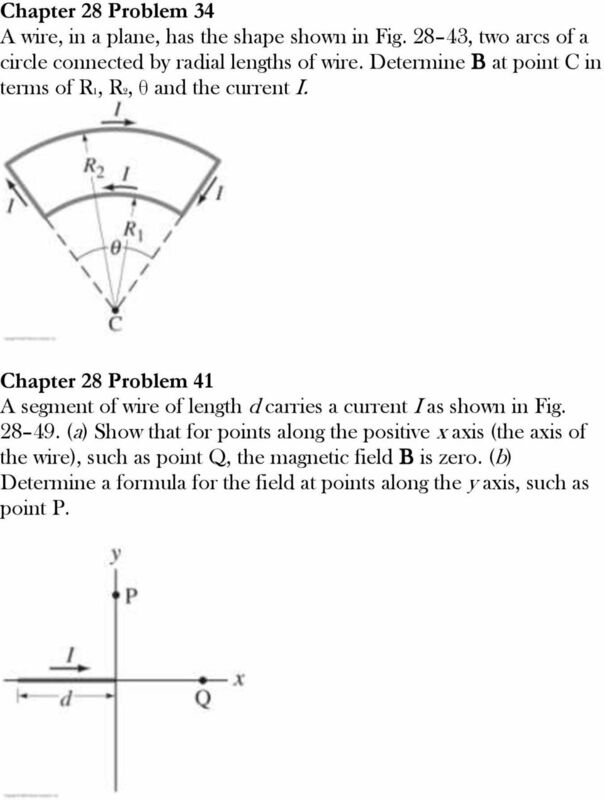 Chapter 28 Problem 18 A rectangular loop of wire is placed next to a straight wire, as shown in Fig There is a current of 3.5 A in both wires. 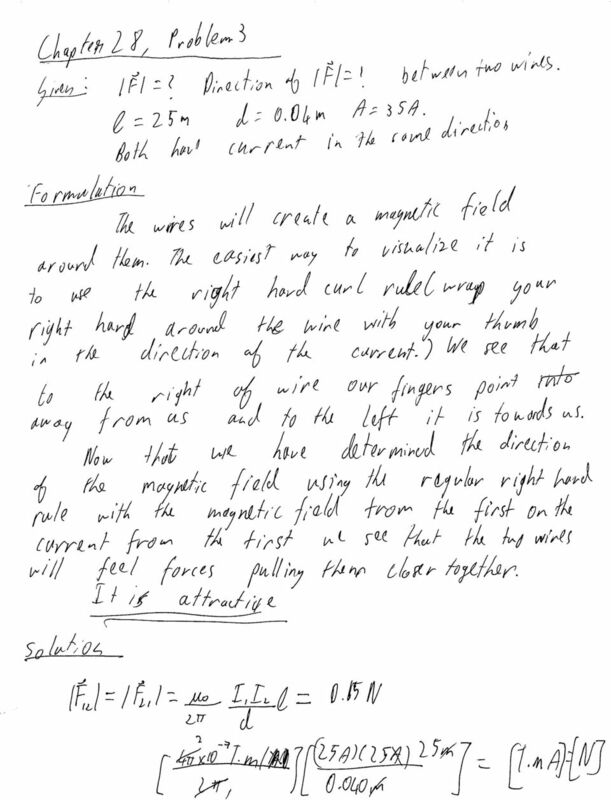 Determine the magnitude and direction of the net force on the loop. 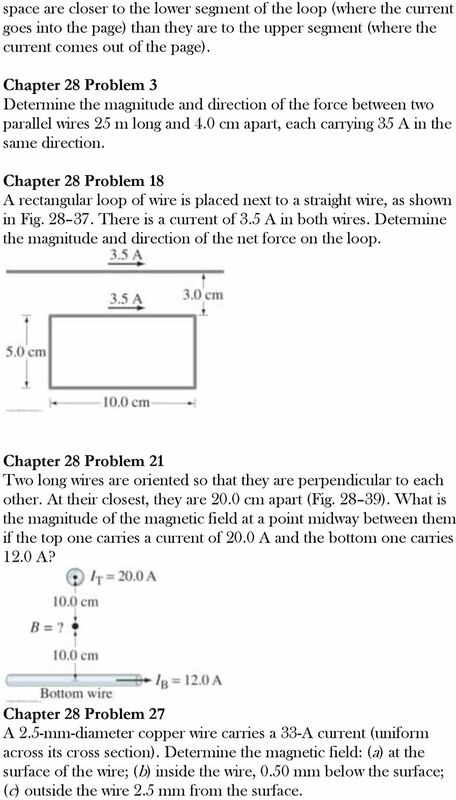 Chapter 28 Problem 21 Two long wires are oriented so that they are perpendicular to each other. At their closest, they are 20.0 cm apart (Fig ). 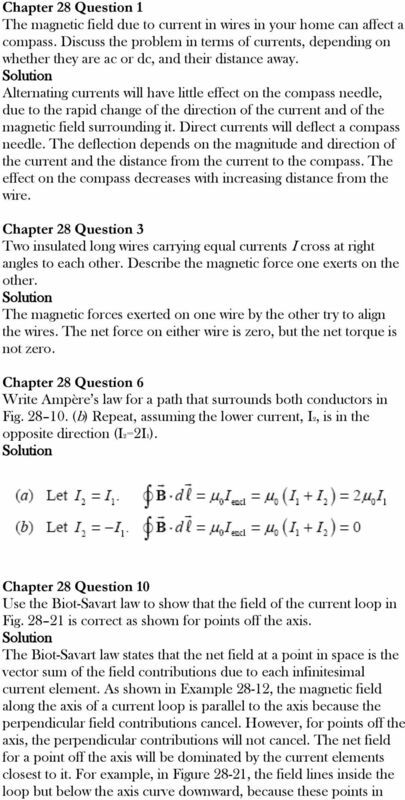 What is the magnitude of the magnetic field at a point midway between them if the top one carries a current of 20.0 A and the bottom one carries 12.0 A? 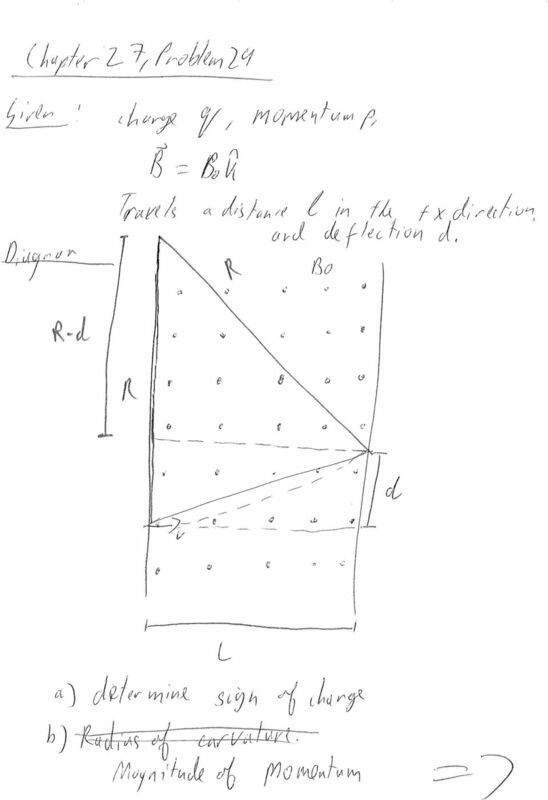 Chapter 28 Problem 27 A 2.5-mm-diameter copper wire carries a 33-A current (uniform across its cross section). Determine the magnetic field: (a) at the surface of the wire; (b) inside the wire, 0.50 mm below the surface; (c) outside the wire 2.5 mm from the surface. 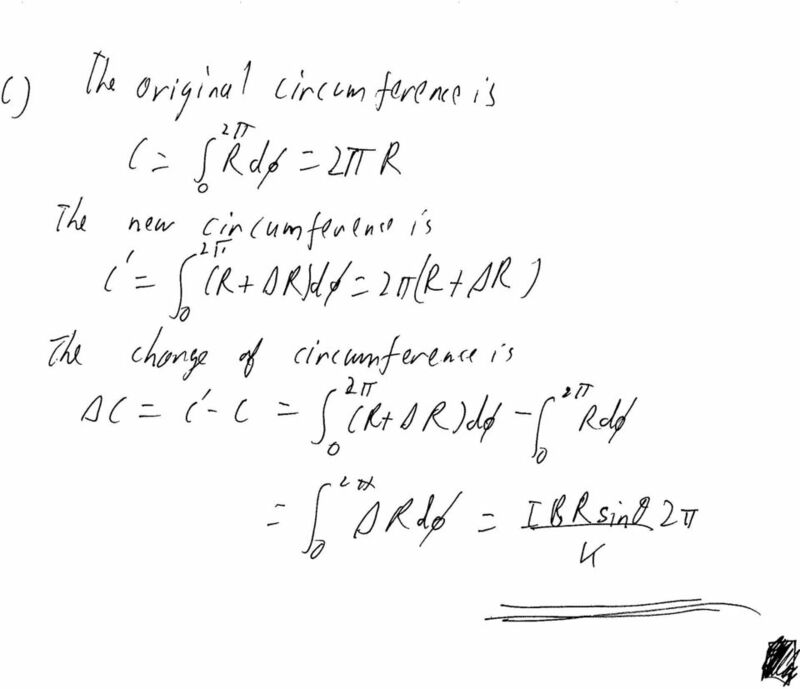 4 Chapter 28 Problem 34 A wire, in a plane, has the shape shown in Fig , two arcs of a circle connected by radial lengths of wire. 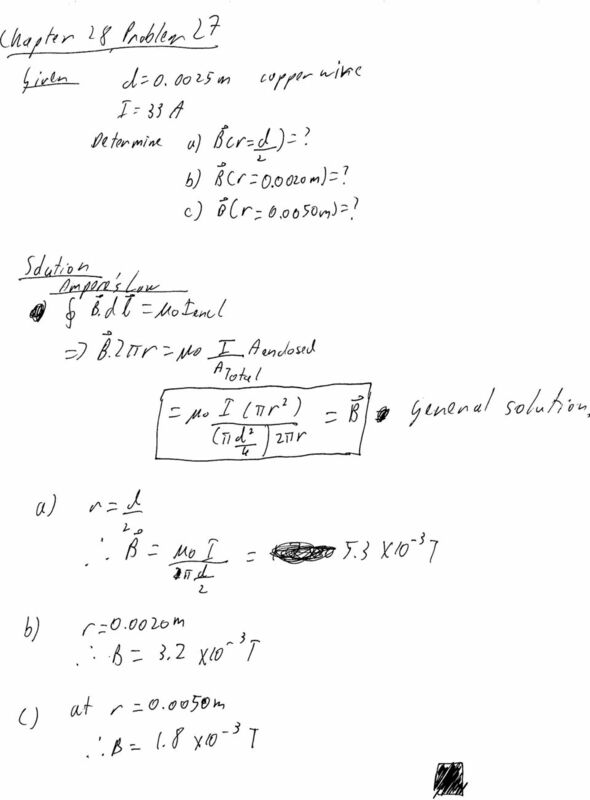 Determine B at point C in terms of R1, R2, θ and the current I. 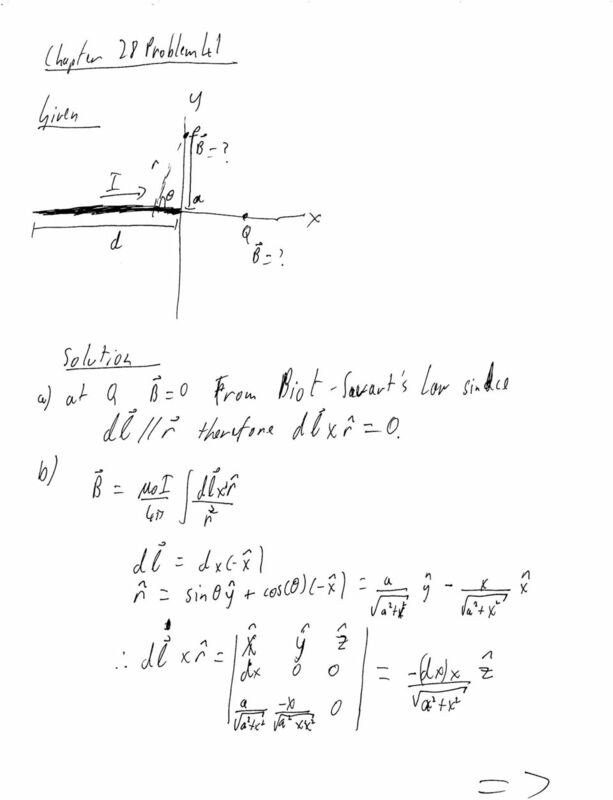 Chapter 28 Problem 41 A segment of wire of length d carries a current I as shown in Fig (a) Show that for points along the positive x axis (the axis of the wire), such as point Q, the magnetic field B is zero. 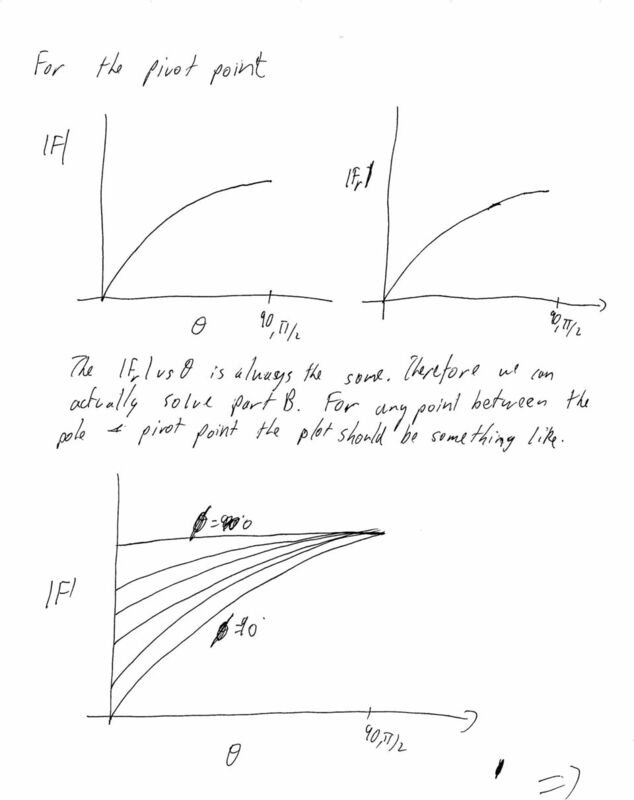 (b) Determine a formula for the field at points along the y axis, such as point P.
B da. Clicker Question. E da. Recall that. 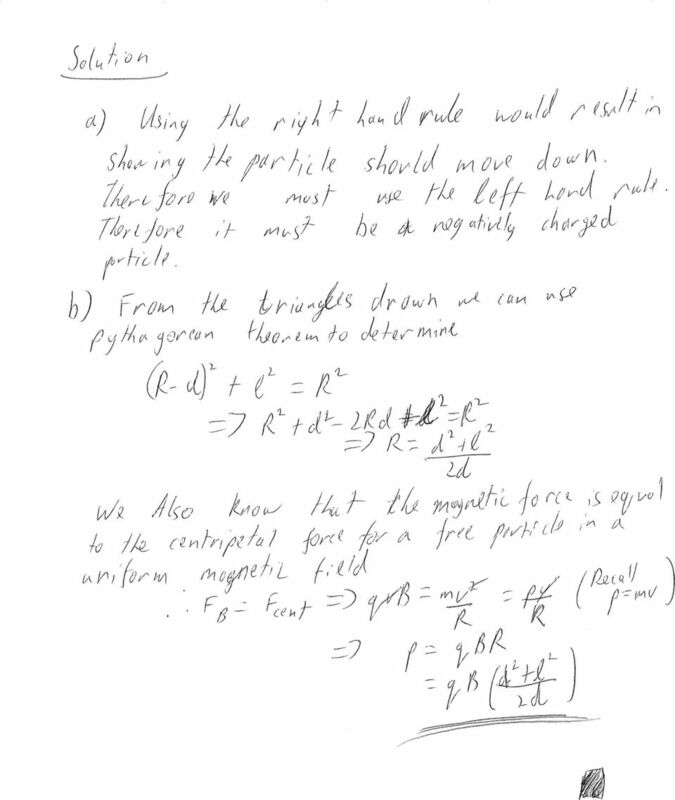 What is the total flux of the magnetic field through any closed surface? 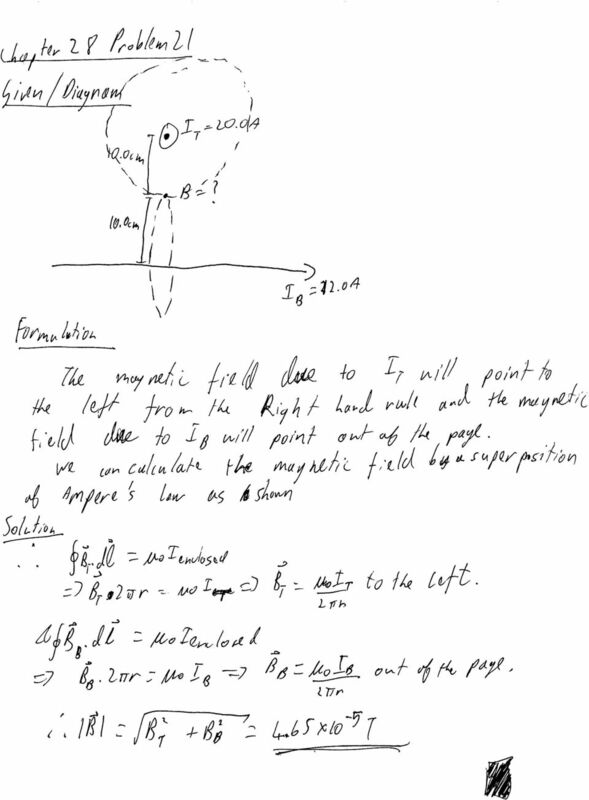 electron due to the magnetic field. 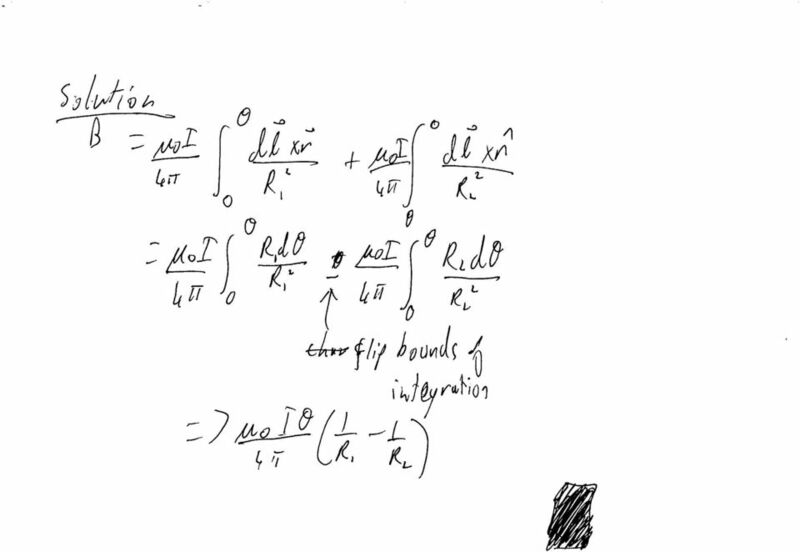 (b) Repeat your calculation for a proton having the same velocity. 1. Separation is easy with a magnet (try it and be amazed! ).